Garage door problems can be very dangerous to handle. If you find yourself in need of expert assistance, give our team a call. Below are some of the latest projects we completed. We can help you just like we helped these customers. 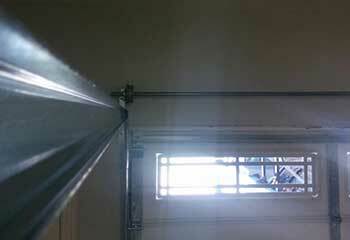 Customer Issue: A torsion spring broke unexpectedly, leaving the door unable to move safely. Our Solution: With the opener unplugged and the door locked in place, our team carefully released the tension through the winding cones and then replaced both the broken spring and its twin. Some fresh lubrication, and the system could be reconnected and tested. Customer Issue: Poorly performing belt drive opener. 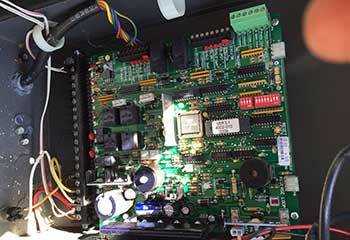 Our Solution: We inspected all components of the 3042 Genie opener and found the belt was worn. 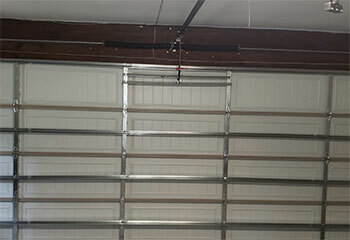 Our solution involved replacing it with an original component of the same design and readjusting the travel force and limits for optimizing the garage door's performance. Customer Issue: A bent track broke. 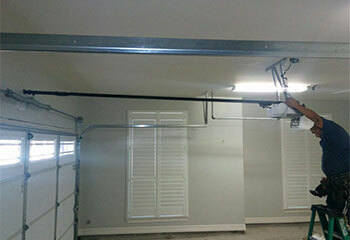 Our Solution: The customer hadn't noticed the bending until the garage door track broke. We stepped in immediately and replaced it with a new one of the same size and thickness. Our test confirmed the rollers were moving smoothly up and down. Our Solution: Our customer wanted an advanced modern opener and we helped her pick a LiftMaster belt drive model with smartphone operation - Elite 8557W. After mounting the motor unit and connecting it to the door with the hardware, we set up the travel limits and forced and helped Anna with programming all controls. We can handle any type of problem regardless of which part is causing it. Like many other customers, you'll be elated that you chose to call our team for help. During garage door emergency scenarios, you need an expert's assistance. That’s where we come in. If you're looking for a new door or opener, you'll find no better prices in town.